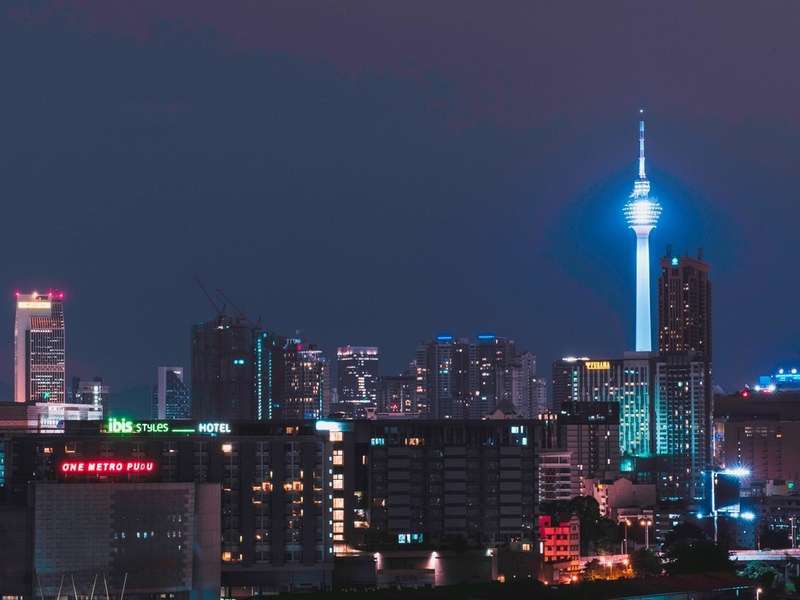 Strategically located at the intersection of Jalan Tun Razak and Jalan Loke Yew in Kuala Lumpur, the hotel features 500 contemporarily designed rooms with free WiFi and buffet breakfast for two (selected room offer). It is just a 5 min drive from the city's business and shopping districts. Hop onto the hotel's complimentary daily shuttle to KLCC and Pavilion KL or simply take a 5 min walk to Chan Sow Lin LRT train station via an interlink bridge from the hotel to discover what Kuala Lumpur has to offer. Enjoy an ideal hotel location with nearby places of interest such as Prince Court Medical Centre, Royal Selangor Golf Club, Zouk, Kenanga Warehouse and IKEA Cheras. KL International Airport (KLIA) is easily accessible via Mex Highway. The city centre is also easily accessible via nearby train services. Complimentary buffet breakfast is served on selected room offer. Vegetarian corner available. Warm, welcoming and modern, with a comfortable bed and a practical bathroom, our rooms offer everything you need for an enjoyable stay. Enjoy our spacious 24 sqm rooms designed to be cheerful, efficient and comfortable. Containing 1 queen-size bed with 1 day bed. Writing table, Internet access, minibar, fridge, LCD TV, safety deposit box ,separate bathroom with standing shower. Head to the bar for a refreshing drink and unwind in a relaxing environment. Located on the 4th floor, the bar offers a wide selection of drinks and snacks at affordable prices. The staf is so professional, courteous, and helpful. The rooms and amenities are clean and fragrant. Rooms were too small and suffocating. I booked the hotel as i was thinking that the hotel is of IBIS grouo so it must be good but really disappointed when we entered our rooms. Rooms and lavatories were too small and suffocating. Also hotel is not provindibg luggage carrying service. We had small kids with us and so many luggages. Even after requesting hotel front desk for luggage shifting but they simply ignored our request. Will never stay in IBIS hotels or even recomend to anyone in future. Cleanliness has improved. Breakfast was great. Wifi availability excellent. If TV includes sport channel will be fantastic. Overall, I enjoyed the stay very much. Toilet glass door remains ajar. Awkward for the person using the toilet and other person in the room..
Good hotel with all the amenities but the location was far from heart of city. Also scope to improve the breakfast spread. This was my second stay at this hotel. The first time was not the best but this time it was much better. We were allowed an early check in & a late check out which was greatly appreciated. We felt welcomed from the start. The room was nice & clean, although the flooring near the shower was coming up due to the water. The first time I chose the cheaper rooms nearer the rail lines. This time I chose a city side room, which is a premium but quieter since no rail noise. I recommend paying the extra for the city side room. The staff were welcoming and helpful. I would stay here again in the future. The room is clean and cosy. This is one of the best hotel ever for my family. Staff is awesome and superb response. You need to improve early check in and late check out process. I think food needs to be improved. I recommended this hotel to everyone heart fully. ibis Styles KL Fraser Business Park has never failed my expectations always! Whether it was a week-long stay or my most current 2-nights stay... the team there has always impressed me. My check-in was a breeze and they have put on top floor, quiet room away from the lift lobby as requested on my booking. The staff upon my arrival, having drinks at the bar, or at breakfast... they were most polite and courteous in every way. All these I has to specially thanks to Tony, their Operations Manager, whom definitely has trained his team well! Well Done, Keep It Up!